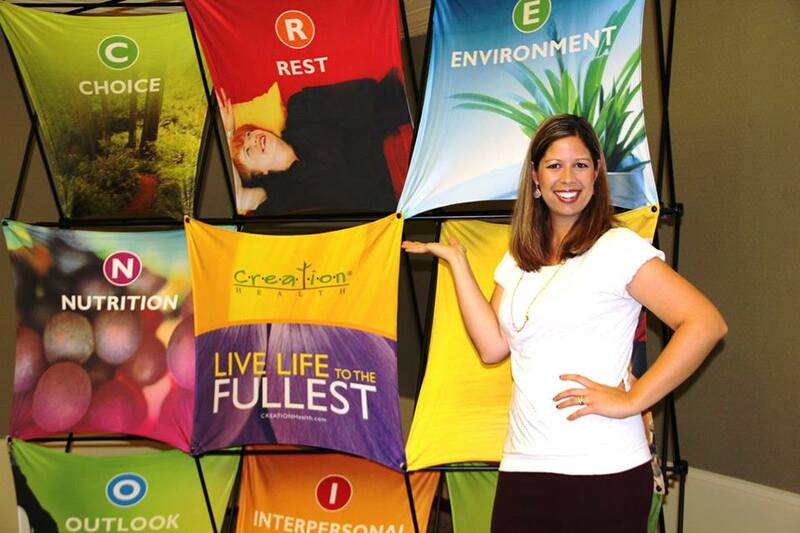 My name is Erin Franklin and I am the new Creation Health Coordinator for Greene County. I am excited to be working alongside the Wellness Directors from both Laughlin and Takoma hospitals to bring this new, life-changing health and wellness program to our community! As you know, we all have a story. A story of how we got to where we are today. For some, a success story. For others, a story of struggle and defeat. For me, a story of mercy and grace. It started five years ago, after the birth of my second son. I had gained an average amount of baby weight, as I did with my first son, but this time I was left with chronic pain. I was a former Division 1 collegiate athlete and coach who could no longer workout without hurting herself, resulting in little desire to take care of herself, unable to get the baby weight off, barely able to take care of her family. I was in a downward spiral of health with no end in sight. I cried out to God to have mercy on me and one day, when my youngest was 2 years old, He did exactly that. My dad told me about a doctor who had helped him with similar issues and after just one visit with this doctor, I learned one simple exercise that I do several times a day to manage the pain! Since that day, I have been on a journey towards physical and spiritual fitness, with a passion to help others change their story too! Will you join me? Here on this blog you will find encouragement to help you succeed on your journey to health and wellness, as well as tips for staying fit and active, healthy recipes, etc. You will not only hear from me, but from others in our community who are on the same journey. I am excited to see how God will use this program for His glory, changing lives throughout Greene County! Be sure to follow us on Facebook, twitter and Instagram to stay informed on upcoming events, classes and other ways you can be involved!